The Tuxedo Park White (self-tie) Bow Tie is new merchandise. 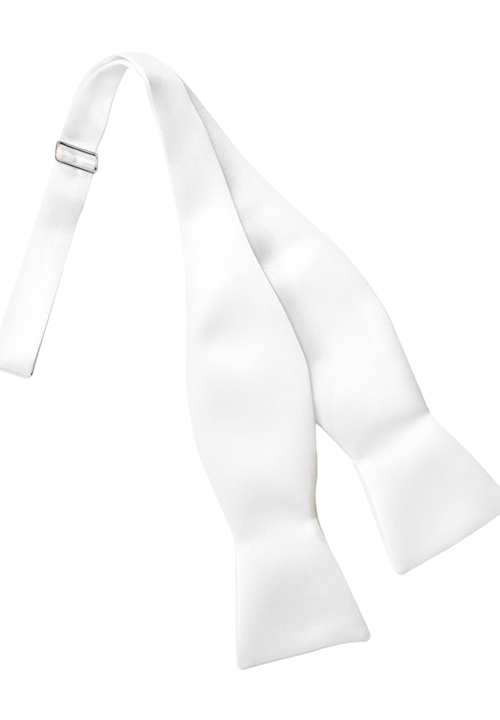 It is fashioned from Solid White Satin and includes instructions on how to tie a bow tie. The traditional bow tie adds another layer of elegance to an already sophisticated look. This bow tie is true 'Black Tie' formalwear.